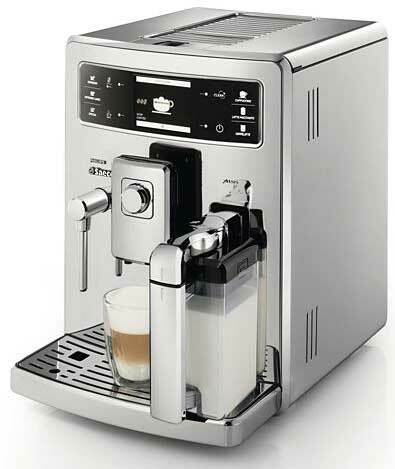 The Philips Saeco Xelsis is a high-end coffee machine with a high degree of smarts packed inside and out. First up is the fingerprint recognition. Up to six different people can enter their coffee profile associated to their fingerprints, and have the machine automatically make up to nine different favourite beverages for each person’s profile. for your desired brewing temperature, and level of coffee in your cup. All of this is controlled and displayed on a colour touchscreen, as is the automatic cleaning and de-scaling cycles. is available now, and has an RRP of $3,299.